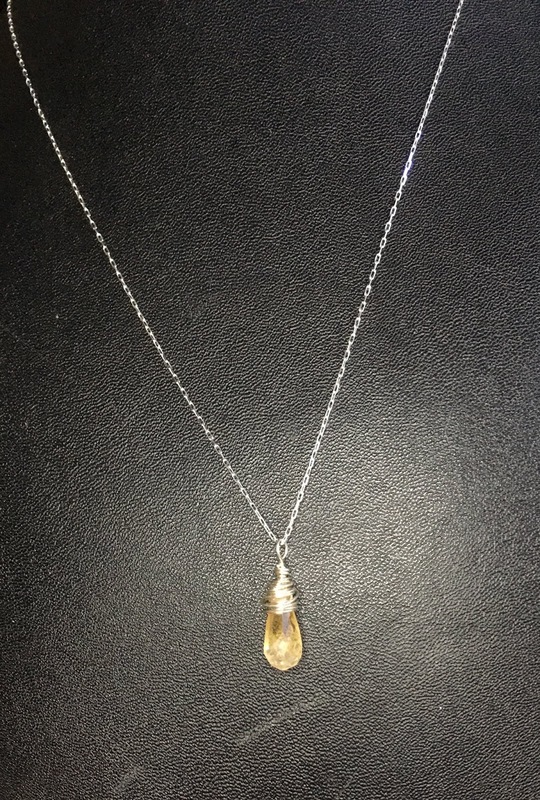 Big debate, is it really citrine or is it heat treated amethyst. If you are buying it as beads and you are getting a great deal, most likely it is heat treated amethyst. These little faceted briolettes were sold to me from Firemountain Gems as citrine (heat treated) and that is why I am a huge fan of their site. They know their product, and they share all information with their buyers. Plus the deals there are awesome! These little beauties made the cutest little earring/necklace set. Tiny little faceted briolettes, wire wrapped with sterling wire, on a sterling loop. 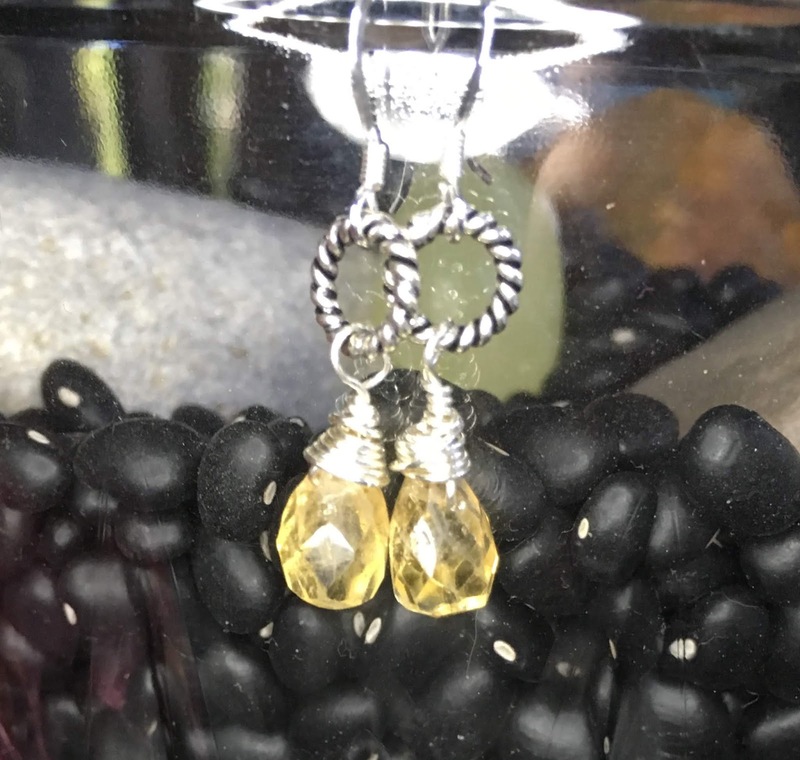 They are the perfect dainty length, and have just enough swing to them to be a bit sassy! Beautifully uniform so it was easy to just pick two to make the earring set, and add one for the pendant. Citrine is the stone of abundance and prosperity. It repels negative energy. Thanks Firemountain Gems for making this set so easy to create! I am re visiting a design from 9 years ago. I started making jewelry because I wanted something that fit my personality, not something that was a popular trend. It has been so much fun to explore, create, design and fulfill a need in me to have an idea become not only tangible but functioning. So because I wear bangles, I want bangles that are more artistic, organic, flowing than what I can find in a store. You know the classic, cuff with stones in bezel cups? That is how my wire wrapped cuffs were born. Let's make a cuff with texture, design and uniqueness that will also carry energy and properties from stones. Completely adjustable, comfortable and stackable! 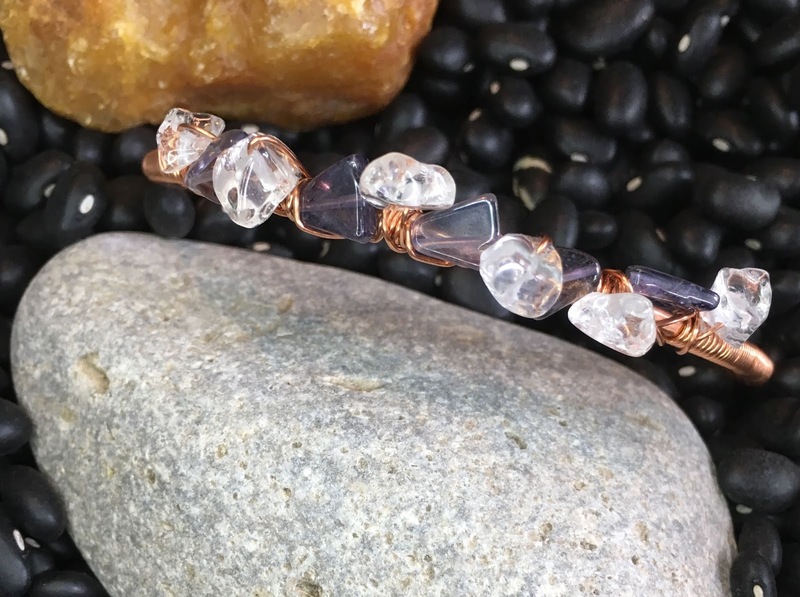 Iolite and quartz chips wire wrapped onto 16 ga copper wire, hammered into form for strength and reinforced with a wire coil wrap. Iolite is for intuition, it restores a sense of perception, inspires creativity and more. Quartz is a natural energy amplifier. These go great together! I can't wait to sit down at my bench and make several more of these. They are just so much fun! Tie Dye is Not Just for T Shirts!! In a world of a higher consciousness, re purposing, recycling and up cycling are in the forefront of so many peoples mind. I am more aware now of what I do, what I waste, what I use, where it is sourced and so forth. In doing so, to do my part to limit manufacturing and waste, I have committed to buying "used" when at all possible. Even with my jewelry and tie dye business! These shirts for example, are in great condition, bought from a local thrift shop and re purposed to give them a new life and more color!! !